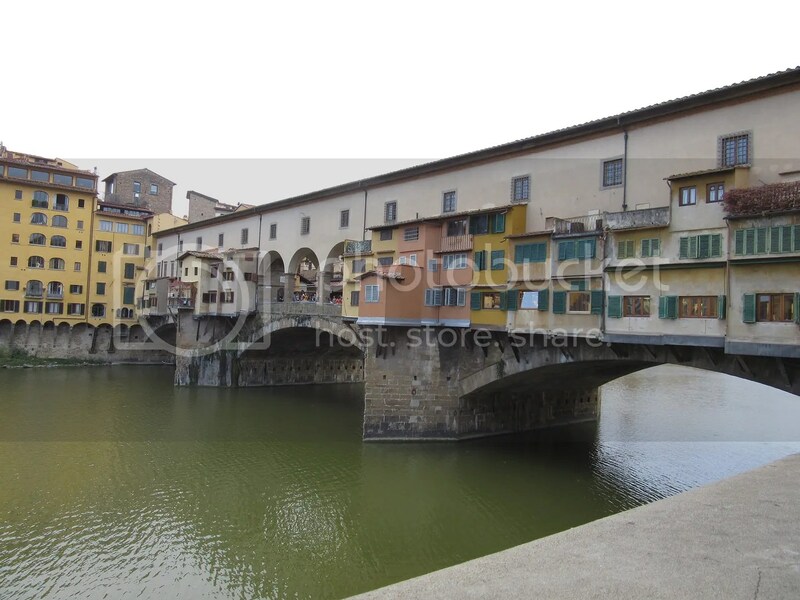 I found the Ponte Vecchio, it’s form and it’s feel, endlessly inspiring. I took many, many photos of it, every time we went past, and from all different angles. What I also did endlessly on this trip, was document our entire journey. 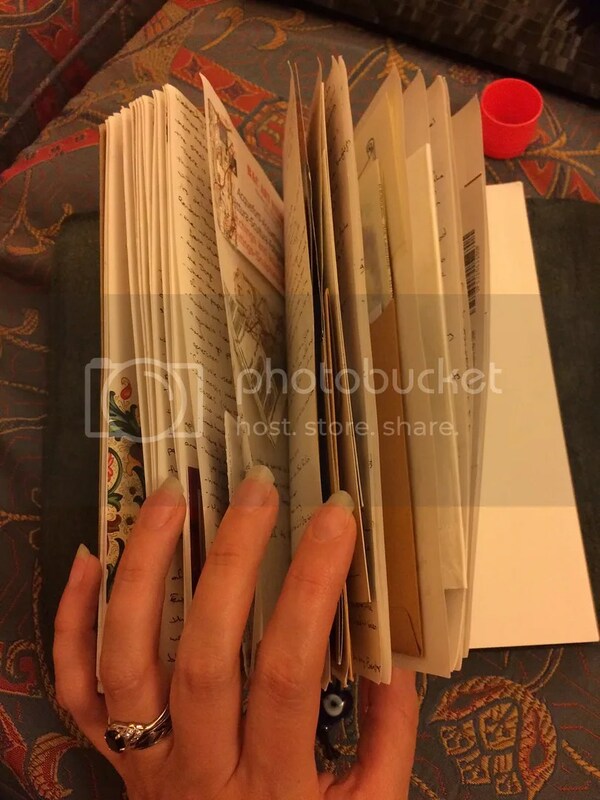 Do you remember the a few weeks ago when I mentioned that I’d made my own version of a Midori Travel Journal? Well, I should have bought more re-fills! I filled this up so much faster than I thought I would! I filled it with notes, and memories, and bits and pieces that I picked up along the way. I even remembered to leave space in it to fill with relevant photos when we got back! I just need to print those up and stick them in now! Of course, when a Japanese note book runs out in Italy, there’s little chance of replacing it. Oh well. 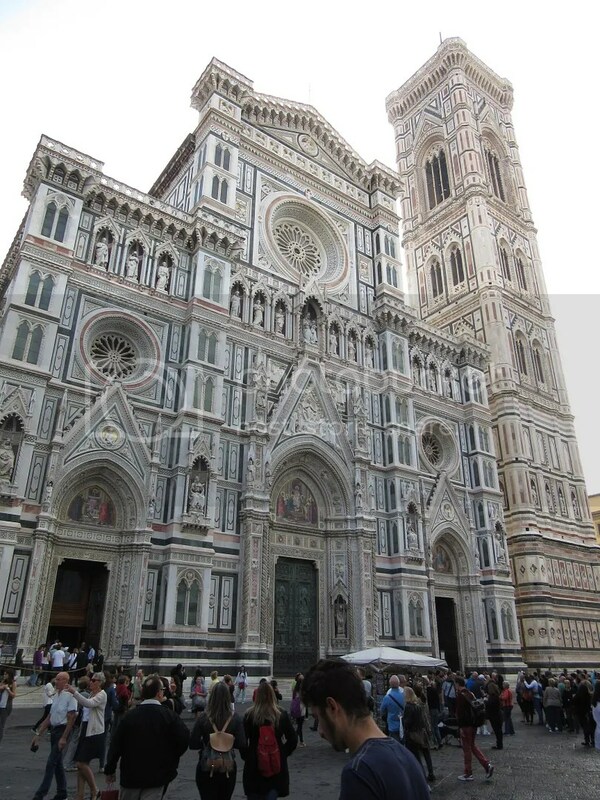 On a likely looking day we decided it was time to face up to the crowds and go into the Duomo. It is such a pervasive silhouette in the Florence skyline that it demands your attention. Once inside and looking around the cathedral, overcome by the grandeur, we knew our lives would not be complete until we climbed the dome. There is a sign at the bottom of the stairs that reads “There is no lift. 463 stairs. 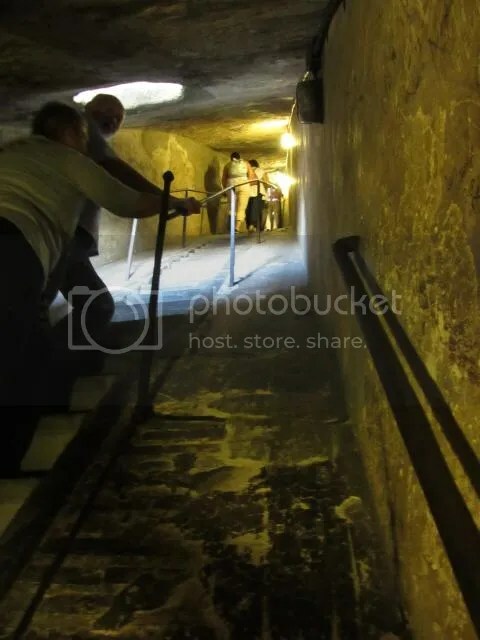 This visit is not advisable for people with heart disease, vertigo, or claustrophobia.” And they weren’t kidding. But it was worth it. I was also fitter than I thought I was! Thank goodness I began that new fitness regime a few months before heading to Italy, huh?! 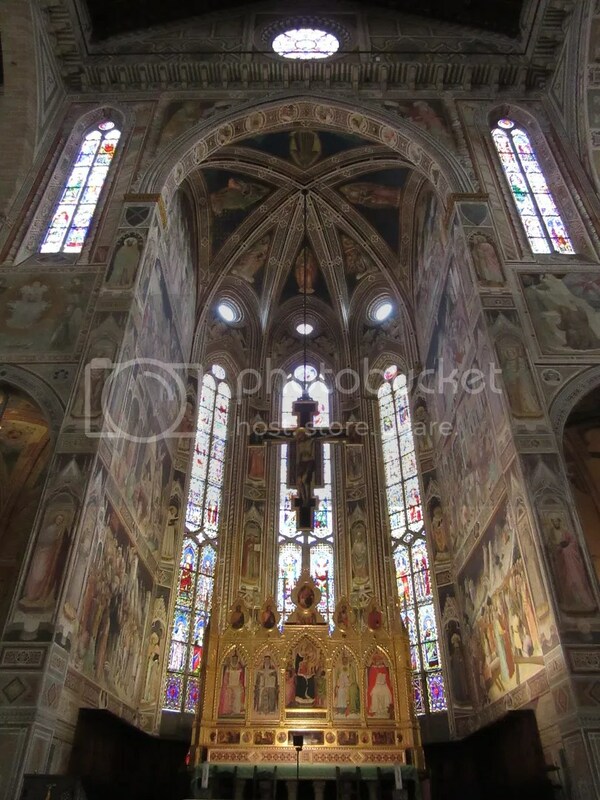 Of course, there are many other churches to see in Florence too, and one of the other more famous ones is Santa Croce. Everyone who is anyone is buried here! Michelangelo, Galileo, Dante, Machiavelli, Marconi, just to name a few! I’m sure you can google what all the others look like, but here is Michelangelo for your reverence and awe. It was a really impressive church. I mean, they all are really. The Catholic church really knows how to build in order to impose that sense of awe, wonder and inspiration on its congregations. 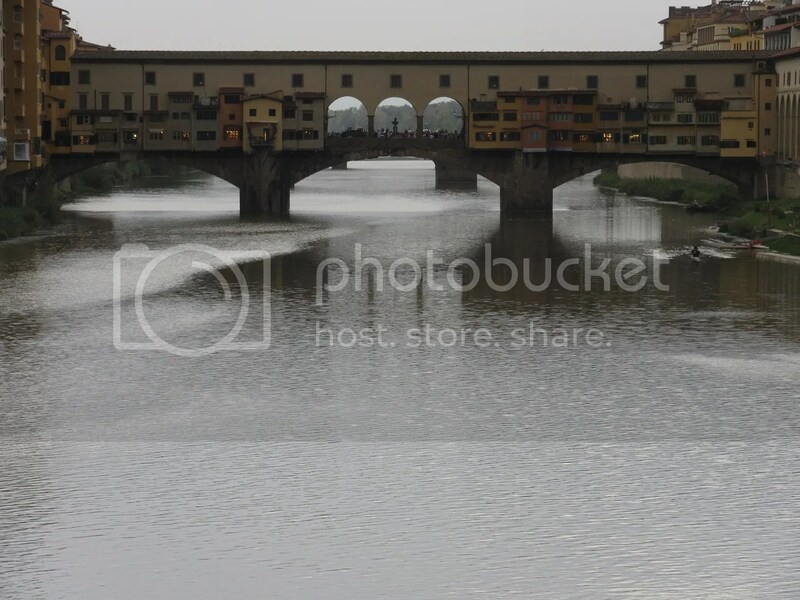 I’m trying really hard to not drown you in photographs of the Ponte Vecchio, I really am! But I loved it so much. I promise this will be the last one for this trip. Isn’t it beautiful? I could stare at it forever. 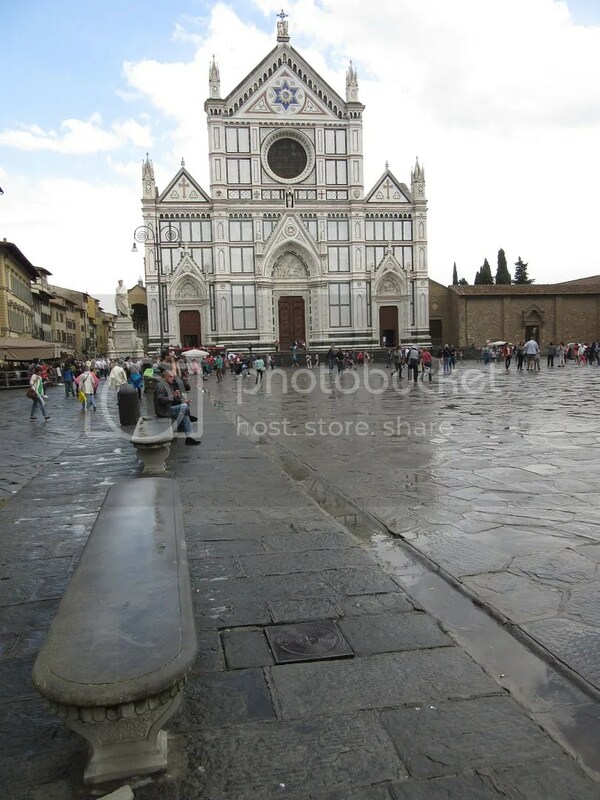 Tomorrow we shall move on to other things in Florence. 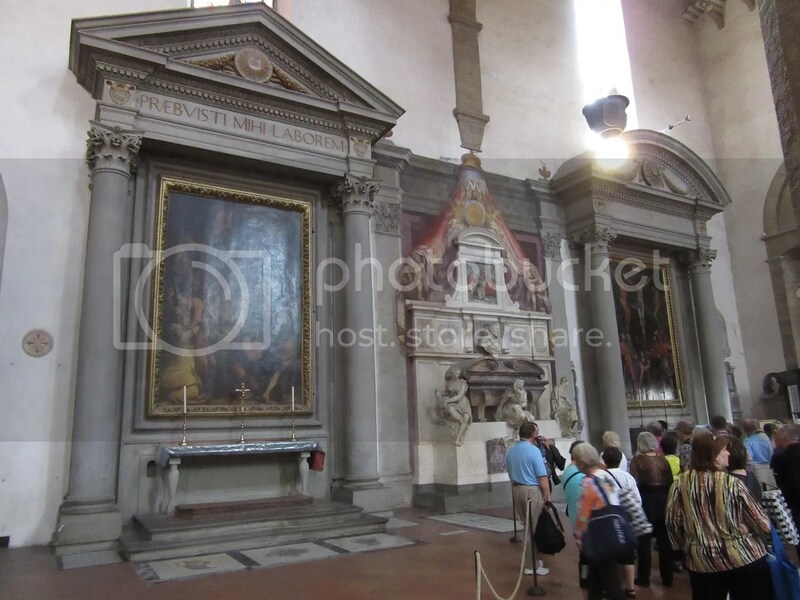 We’ll take a trip around some of the other things the Medici family bequeathed to the city of Florence. See you tomorrow! Loving the photos. As always, you’ve captured some amazing shots. 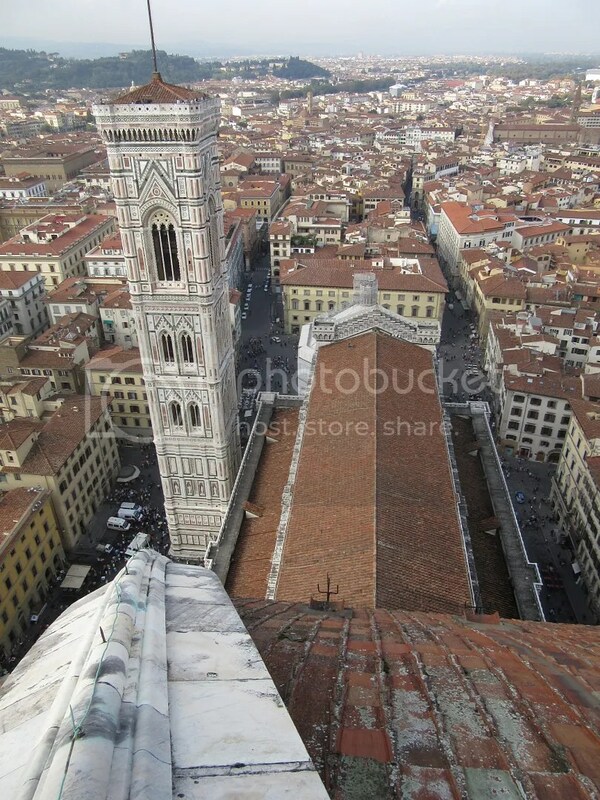 I think my favourite in this post is probably looking across the plaza towards the Duomo. Wow! Thank you for sharing these!